Home » Donate » Why Give? With every gift you give, we fulfill a mission - yours. In recognition of outstanding care provided to friends and family members, Cedar Village at Ocean, located in Ocean Township, walked for Jersey Shore University Medical Center again in 2014. 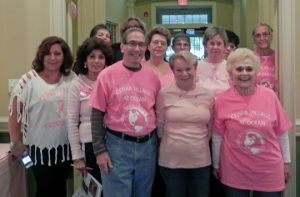 Each year, for the past five, this generous group of community members dedicated their Breast Cancer Walk proceeds to aid the fight against breast cancer in our region, generously choosing Jersey Shore as the benefactor of their support and hard work. We thank Cedar Village at Ocean for their philanthropic commitment. If you are a member of a community organization that is interested in supporting Jersey Shore University Medical Center, contact Linda Beese at 732.751.5104. Jersey Shore University Medical Center Foundation would like to thank the Malinda R. Farrow Fund of the Philadelphia Foundation for continuing its annual support of the JSUMC Dental Clinic. This year’s award will be used to support patient prostheses (i.e. crowns and dentures), lab fees, and unreimbursed care for uninsured patients. In 2013, thanks to philanthropic support, the dental clinic was able to serve more than 1,500 patients during 4,462 visits. It is the only free dental clinic that does not charge a sliding scale fee, providing service regardless of the patient’s ability to pay. It is with great pride that we honor your donation by ensuring that it helps as many individuals as possible at Jersey Shore University Medical Center. Your donations directly impact the programs and services, equipment and supplies, and most importantly the patients and their families who come to the hospital for care. Every gift helps us to fulfill our goal of providing the most comprehensive medical care close to home. Every gift makes a difference. Susan G. Komen, Central and South Jersey Affiliate, has awarded two grants to Hackensack Meridian Health to provide breast health education for residents in the Monmouth and Ocean County area. At Jersey Shore University Medical Center, a $69,169 grant will support the Every Woman Counts program, which serves low -income, uninsured, and underinsured women in Monmouth County. The program will provide breast health education, free mammography screenings, and diagnostic imaging tests as needed. The program will coordinate outreach efforts with Monmouth County health care providers, local non-profit organizations, and houses of worship. 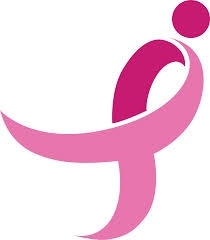 In Ocean County, a $32,539 grant will support the Women to Women program, which provides breast health education to women who are over the age of 65, at-risk, or uninsured/underinsured to encourage annual mammograms. Nurse navigators and nurse educators will provide education in senior communities and assist participants in scheduling mammograms. Additionally, education will be provided to primary care physician offices regarding the importance of annual screenings for seniors and at-risk women. 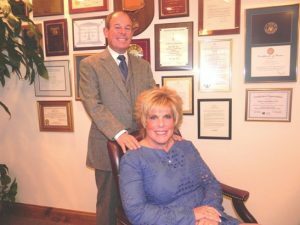 Bob and Cathy Novy are no strangers to the renowned cardiac program at Jersey Shore University Medical Center. In less than eight years, each has had emergency cardiac procedures performed with great results. As a result of their own positive patient outcomes at Jersey Shore and another recent cardiac care experience with Cathy’s 89-year-old mother, the couple made a lead gift in support of the current construction to expand the Cardio Thoracic Intensive Care Unit (CTICU). “We cannot rely solely on insurance and government support when it comes to quality health care. As residents and patients, our philanthropic support is essential to vital community resources like Jersey Shore,” Bob said. Thanks to the support of generous donors like Bob and Cathy, the expanded CTICU will open later this year, featuring the newest technological monitoring systems in a larger space with 12 private rooms. In addition to traditional open-heart surgery, the increased space will allow for the newest, most advanced therapies, like the Edwards SAPIEN Valve, for high-risk patients with limited surgical options and the Impella – the world’s smallest heart pump. After beginning his career in dentistry 10 years ago with a residency at Jersey Shore University Medical Center, Dr. George Loutfi decided to “pay it forward” with a $10,000 gift in support of the dental program and its current and future students. 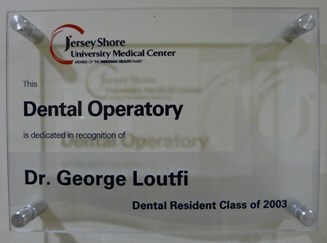 Dr. Loutfi’s gift was used to dedicate a dental surgery suite at the Jersey Shore dental clinic, supporting the clinic’s mission to provide quality, comprehensive dental care to all members of the community in need. “It is such an honor for me to be able to give back to the place that has given me so much. When I reflect back on all of the training that I had to go through to become a dentist, my experience at Jersey Shore is without a doubt the most important. I learned great clinical dentistry in a supportive and nurturing environment,” Dr. Loutfi said. 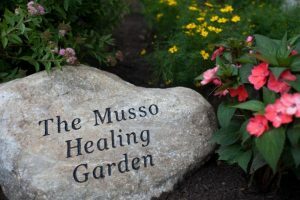 Jersey Shore University Medical Center is pleased to announce the completion of The Musso Healing Garden, made possible by a generous gift from Victor and Angela Musso and their daughter, Carol Musso Foley of Spring Lake, NJ and Suffern, NY. 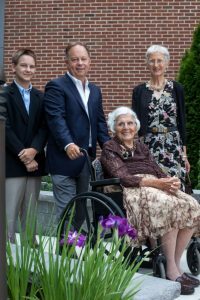 Located adjacent to Jersey Shore University Medical Center’s North South Concourse, the Musso Healing Garden Dedication and Luncheon Reception was held on June 30th with over 75 members of the Musso family, their friends, and Jersey Shore University Medical Center team members in attendance. The Musso Healing Garden features a fountain at its center to provide the soothing sounds of water for patients, their family and friends and Jersey Shore team members as well as The Rosebud Terrace which was designed for support and/or small group sessions. In addition to being wheelchair accessible, The Healing Garden includes ample benches and tables with umbrellas and chairs so that visitors may relax and enjoy the space. The Dedication Ceremony included remarks by Joyce Henn, Senior Manager for Patient Care, and Reverend David Cotton, Director of Pastoral Care, who dedicated the Garden with a prayer that reminded us “that God does some of his best work in gardens.” Robert Wahlers, Senior Director of Development & Gift Planning, thanked the Musso family for their wonderful generosity. Ron Kirk, a Director of the Nicola-Musso Charitable Foundation, who served as project liaison and spokesperson for the Musso family, thanked the many people who contributed to the completion of the Garden. He gave special thanks to specific members of the Hackensack Meridian Health team as well as to Giejda Landscaping and Mark and Cindy Giejda who installed the Healing Garden, insuring that it reflected the family’s vision. Mr. Kirk reminded us that Angela and Victor Mussos’ lives are the gift, and that this Garden is yet another example of lives dedicated to giving. The Ambulatory Surgical Waiting Area was dedicated on Saturday, June 1st in honor of the late Dr. Stanley Edeiken by his daughter Linda. 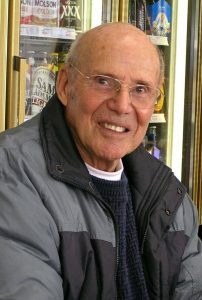 Dr. Edeiken was a renowned surgeon at Fitkin Hospital and Jersey Shore University Medical Center so it is fitting that the waiting area honors his memory. Many people still remember how Dr. Edeiken helped them over the years and now he and his daughter can continue to comfort the patient families that use the area. Thank you to Ken and Leslie Hitchner, Rumson for making a lead gift in the planned expansion of the Pediatric Intensive Care Unit (PICU) at K. Hovnanian Children’s Hospital. This generous gift will allow the children’s hospital to continue to meet the intensive care needs of a growing pediatric population. More details on this $5 million expansion project to come.